Audio Interview with The Executive of WAMO Soda. 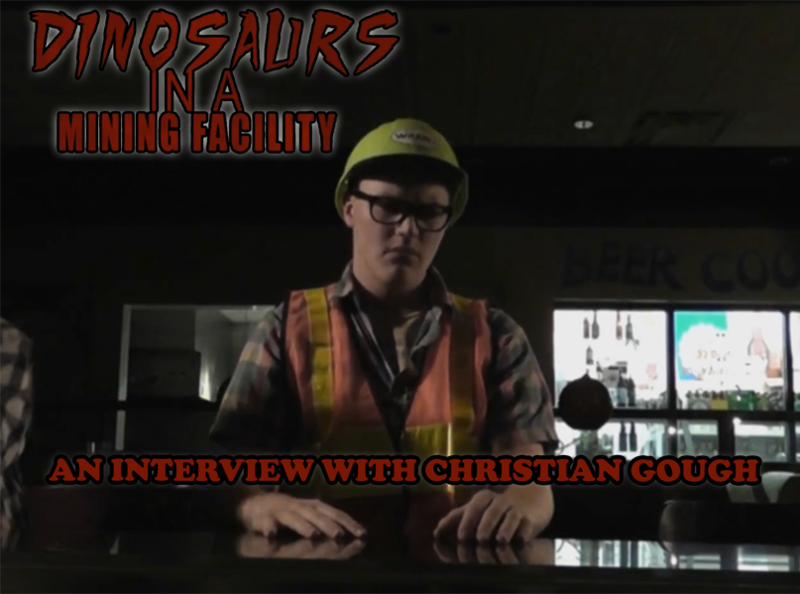 Welcome to the final installment of Reeling Back's, "Dinosaurs In A Mining Facility" interviews. This is the fifth in a series of several interviews conducted exclusively for the site in anticipation of the upcoming Jamblevision film, "Dinosaurs In A Mining Facility". Today was a rather unusual day as far as interviews go. What better way to wrap up the final installment of the Dinosaurs interviews than with the executive of the WAMO Soda company giving me the details of why they sponsored the film in the first place. The end result was a rather weird phone conversation with the executive. I'll let you guys listen and find out more yourself. Audio Interview with Jacob Stephens. Welcome back to yet another installment of Reeling Back! This is the fourth in a series of several interviews conducted exclusively for the site in anticipation of the upcoming Jamblevision film, "Dinosaurs In A Mining Facility". Today I sat down and talked with the other co-star of the film, Jacob Stephens. We had a lot of catching up to do, as it's been many years since we last saw each other. Join me as we relive the making of this film, his work with the Americorps, and our heydays of mischief. Audio Interview with Alec Janson, Joel Tindall, and Jackson Deal. Welcome back to another installment of Reeling Back! This is the third in a series of several interviews conducted exclusively for the site in anticipation of the upcoming Jamblevision film, "Dinosaurs In A Mining Facility". Today I sat down and discussed with each actor, their own individual experience with the filming process. There are plenty of fun moments reminisced on, and plenty of made up nonsense as well. I'll leave you to decide who's being genuine, and who's just full of it. Audio Interview with Christian Gough. Welcome to another installment of Reeling Back! Today, I have the second in a series of several interviews conducted exclusively for the site in anticipation of the upcoming Jamblevision film, "Dinosaurs In A Mining Facility". I sat down and discussed the details of the movie, in addition to musical projects, with one of the leading co-stars of the film, Christian Gough. Listen along, while I navigate a field of sarcasm, to try and get actual answers out of him pertaining to the film.